The Social Media approach is creating more work for FFM. Social media is becoming a force to be reckoned with. 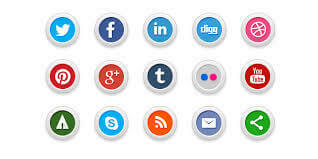 Social media differs from the traditional style or industrial media in many ways, including quality, reach, frequency, usability, immediacy, and permanence. Internet users continue to spend more time with social media sites than any other type of site. Facebook passes 1.23 billion monthly active users, 945 million mobile users, and 757 million daily users. As part of the financial results for its fourth quarter, Facebook today announced a number of new milestones. The social network has now passed 1.23 billion monthly active users. Linked in reported in June 2013, that there are more than 259 million acquired users in more than 200 countries and territories. The Wall Street Journal report April 2014, there are 974 million existing Twitter accounts. As of September 2013, Instagram has announced a total of more than 150 million monthly active users. In October 2013, Google counted 540 million active users who used at least one Google+ service. The power that social media brings is huge, this can cause some companies a massive lost on sales and we are sure it’s put some companies out of business. On the positive side for those clients that become advocates for your products or services can help companies to shine and then become market leaders in their respected fields, take for instance some of the big brand names such as Virgin, Samsung, Apple and LG big brand names with a large social media exposure.